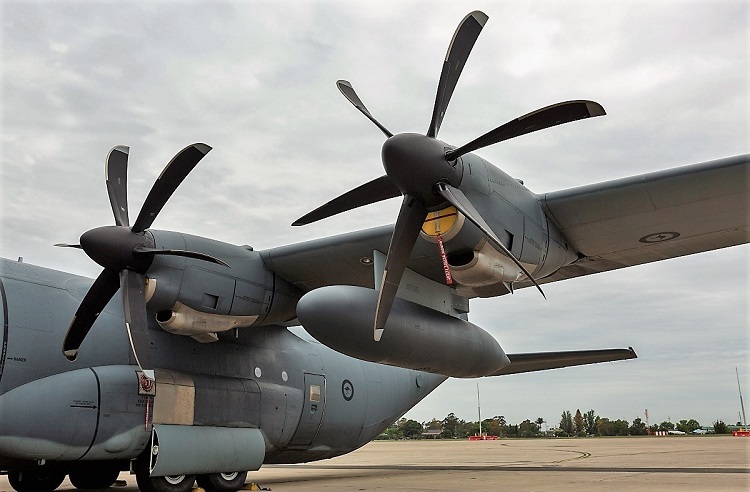 The Royal Australian Air Force (RAAF) is reportedly looking to integrate the Northrop Grumman AN/AAQ-28 Litening AT targeting and EO/IR pod with its fleet of 12 C-130J Hercules airlifters. The addition of an EO/IR pod such as the Litening AT would enhance the C-130J’s ability to provide ISR overwatch for forces on the ground, to ensure a designated landing or extraction zone is clear of threats, to geolocate targets of interest or precision airdrop locations, or to even provide fires support to off-board shooters. For peacetime missions, a high-performance EO/IR pod could provide accurate imagery and data to support the HADR or search and rescue roles. Globally, there are several models of C-130 which employ EO/IR pods, with mounting positions including an integrated ball turret under the aircraft’s nose (AC/MC-130), an extension of the port main undercarriage sponson (KC-130J), or on a pylon mounted on the rear side troop door (KC-130T). With the retirement of the F/A-18A/B classic Hornet by 2022, the RAAF will have about 40 Litening AT pods in its inventory. The pods were acquired for the classic Hornet fleet in 2008 under the Project AIR 5376 Phase 2.4 element of the Hornet Upgrade Program (HUG) to replace the AN/AAS-38 NITEHawk pod. RAAF Hornets typically carry the Litening pod on the Station 5 centreline or Station 6 shoulder pylons, depending on the aircraft’s configuration. It is understood the Litening AT performs particularly well in low visibility conditions, a fact which anecdotally has been proven in more than three years of classic Hornet Operation Okra missions in the Middle East from 2015 to 2018. The RAAF’s F/A-18F Super Hornets and EA-18G Growlers use the AN/ASQ-228 ATFLIR pod. Following the retirement of the RAAF’s C-130H and recent upgrades to the communications, operational flight program, electronic warfare self protection systems, and new load clearances on the C-130J, that aircraft is now fully committed to operationally supporting the Australian Army in more complex missions and tasks. 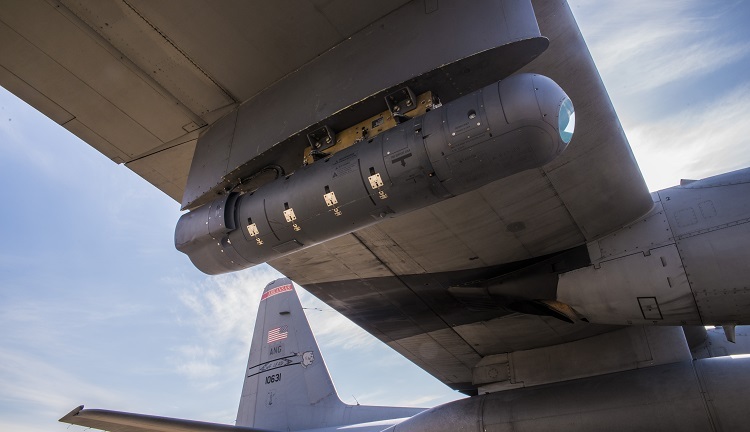 In 2016 US Air National Guard C-130Hs successfully integrated Litening pods on their outboard wing pylons, meaning much of the non-recurring clearance and integration work has already been done for the combination. Late last year the RAAF activated the C-130J’s wing stations for the first time, with the installation of external fuel tanks. There are few details about the timeframe of any possible EO/IR pod integration work, nor what industry elements would support the integration activity. But it is likely Airbus as RAAF C-130J platform steward, Northrop Grumman as Litening AT OEM, and Lockheed Martin as C-130J OEM will all have roles to play. Can you put the expanded (spelt out) acronym before the acronym so the reader knows what the story is about. Did anyone else make the connection between the integration of the Northrop Grumman AN/AAQ-28 Litening AT targeting and EO/IR pod with C-130J Hercules, and the previous article on Northrop Grumman developing a palettised system for a Bushmaster cannon, ammunition and operator consoles to slot in and out of the hold of a C-27J Spartan? Is a RAAF gunship on either or both platforms becoming a possibility? Sounds like being close to a no brainer to me. You have the Aircraft you have the systems just have to integrate them. Oh for GODS sakes just convert some H models to AC-130 and not only do you get this, you get the ability to do something about what you see 😉 We gave a bunch of E models to Indonesia, they would’ve done the job with a freshen up, too!